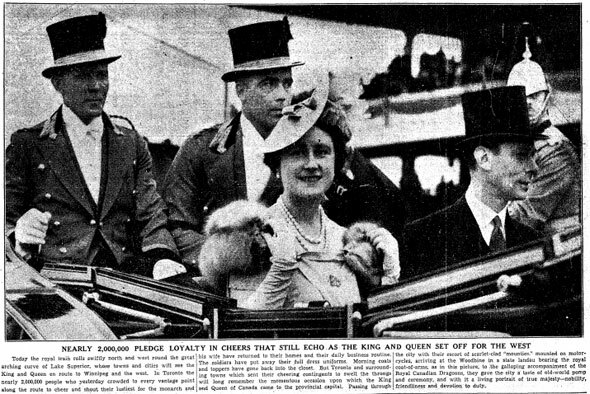 When King George VI and Queen Elizabeth, the Queen Mother, stepped off the royal yacht at the Port of Quebec in May 1939, it was the first time a reigning British monarch had visited Canada. Public excitement was high, but trouble was brewing in the background. The highly anticipated tour came just months before the outbreak of the second world war. British warships were gathering in the English Channel between England and France and Adolf Hitler's Nazi government was refusing to honour the non-aggression pact the country had signed with Poland a few years earlier. "I believe they will go in peace and come back in peace," an un-named British cabinet minister told the Toronto Daily Star, trying to assuage Canadian fears the tour would be cut short or cancelled entirely by an escalation in conflict. On May 6, 1939, amid what would prove to be a short-lived ease in tensions, the royal party left a sun-soaked Portsmouth on England's south coast bound for Quebec. 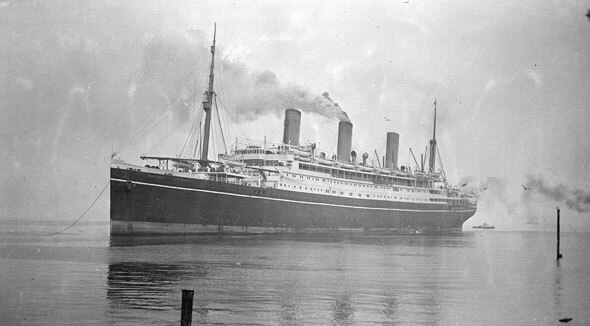 The German-built RMS Empress of Australia, a Canadian Pacific steamship famous for its part in rescue efforts during the Great Kanto earthquake of 1923, was designated the royal yacht for the ocean crossing. A 13-year-old Princess Elizabeth, the heir to the throne, with sister Margaret, stood at their parents' side in blue tweed suits as the ship steamed out of sight of the gathered onlookers. The royals arrived two days late owing to dense fog on the Atlantic. After time in Quebec and Ottawa, where the Queen laid the cornerstone for the Supreme Court Building and the King dedicated the National War Memorial, the group traveled to Toronto by train for the 8th running of the Queen's Plate at the original Woodbine Racetrack on May 22. About half a million people crowded the CNE grounds, the amphitheatre of Riverdale Park, the university grounds, and Queen's Park for a glimpse of the royal chariot, a maroon McLaughlin Buick, as it made a circuitous, 26-mile tour of the city. In the lieutenant-governor's private suite at the Ontario legislature, the royals were presented with the Dionne quintuplets, a set of five identical sisters who were made wards of the government in 1935 partly, it seems, for their novelty value. The brief visit was also marked with by naming of newly-completed Port George VI Island Airport. The royal title didn't stick, however--it was changed to Toronto Island Airport a few years later. George and Elizabeth's time in Ontario's capital was extremely limited. After a single day, the couple split in the royal automobile for Niagara, where they were due to dedicate the new Niagara Falls to St. Catharines Highway. When the motorcade passed through an electronic beam on approach to the Henley Bridge over Twelve Mile Creek, the entrance to the new, ultra-modern separated highway, two flags dropped from a pillared gateway, revealing the new name-the Queen Elizabeth Way-printed on two decorative shields that flanked the road. The plan to dedicate the piece of automobile infrastructure for the King's consort was hatched with royal permission by Thomas McQuesten, the minister of highways, with an eye to later including the planned eastward extensions of the highway in the title. And so, finally, to The Monument. The royals were long back in England and the second war firmly underway before the completed QEW linked Toronto with the U.S. border 1940. The $23,828 sculpted column was commissioned to mark the westbound entrance to the road, where drivers crossed the CNR rail tracks. The 40-foot limestone monument, topped with a crown, was designed by architect W. L. Somerville. 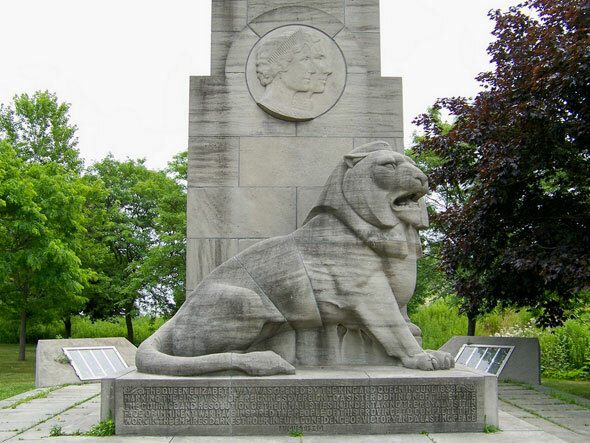 Scupltor Frances Loring, a long-time resident of Glenrose Avenue in Moore Park, created the stylized art deco lion and the reliefs of George and Elizabeth with assistance from Florence Wyle. Small rows of hedges were planted artfully around the stepped base. Loring and fellow artist Wyle, known affectionately as "The Girls," were two of Canada's most important and respected sculptors of the era. The pair produced pieces that are part of Henley Bridge in St. Catharines, where the QEW name was first unveiled. "The Queen Elizabeth Way was opened by the King and Queen in June 1939 marking the first visit of a reigning sovereign to a sister dominion of the empire. The courage and resolution of their majesties in undertaking the royal visit in the face of imminent war have inspired the people of this province to complete this work in the empire's darkest hour in the full confidence of victory and a lasting peace." Unfortunately, The Monument didn't have a happy future on the QEW. Motorists complained shadows cast by the low hedges looked like pedestrians darting into traffic, resulting in countless panicked stabs at the brake pedal. At least one person died after colliding with the column and two people were seriously injured fleeing provincial police when their car struck the unyielding decoration in 1965. As the highway grew busier through the 1960s, there were increasing calls to widen and reconfigure the roadway. In 1974, the massive monument was uprooted and placed in Sir Casimir Gzowski Park, where it has since been joined by a displaced Joy Oil gas station. The original light standards of the QEW, which included a decorative "ER" at the elbow, were also removed at the same time. The Monument was rededicated by today's Queen Elizabeth in 1986. 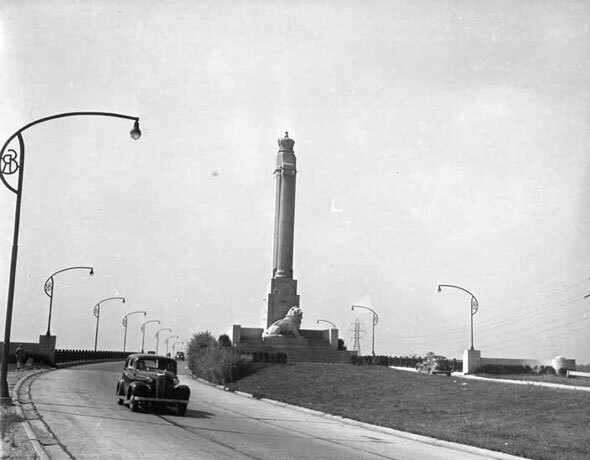 Image: "Queen Elizabeth Way, monument at eastern approach, east of bridge over C.N.R. tracks; looking west," July 27, 1957, Toronto Public Library, S 1-4143A; "S.S. Empress of Australia," Walter E. Frost, City of Vancouver Archives, AM1506-S3-2-: CVA 447-2189.1; Toronto Daily Star, Page 1, Tuesday May 23, 1939; "Entrance to the Queen Elizabeth Way," 1940, Canadian Science and Technology Museum, CN Images of Canada Gallery, Image No. : CN005903; Will/blogTO Flickr Pool.